The Kodak Easyshare M580 may be a good looking pocket snapper but there are plenty more models on the shelves for anyone hoping to reel in a good deal, with just about every other manufacturer fielding nigh identical 12MP or 14MP 'high zoom' models and Panasonic probably being the first name you think of offering just such for the sub-£200 price point. The other stumbling point here is the Kodak's design; leaving the otherwise impressive 14MP/8x zoom headline spec aside, it's the first thing that attracts the eye (and potential purchase interest) but in use proves to be a case of style over substance, with fiddly top plate controls and sluggish response times quickly grating. We don't want to be negative as the M580 is a step in the right direction for Kodak. 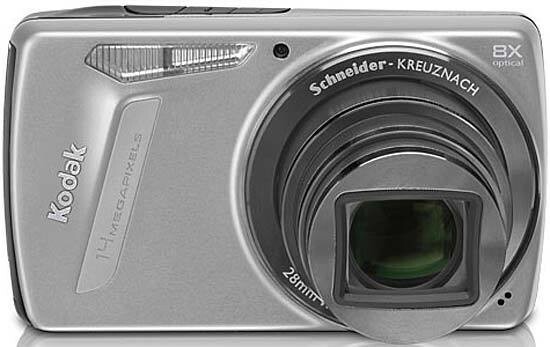 Unfortunately it seems there is still some distance to go before EasyShare is decisively competing with the Lumix, IXUS and Cyber-shot brands of digital compact for the deliverance of style and substance in equal measure. Ultimately, and given the above points, giving the M580 an average score feels generous. But for those who do actually care more about looks than performance, the Kodak M580 is available in silver and purple alongside our sample's debonair brown.